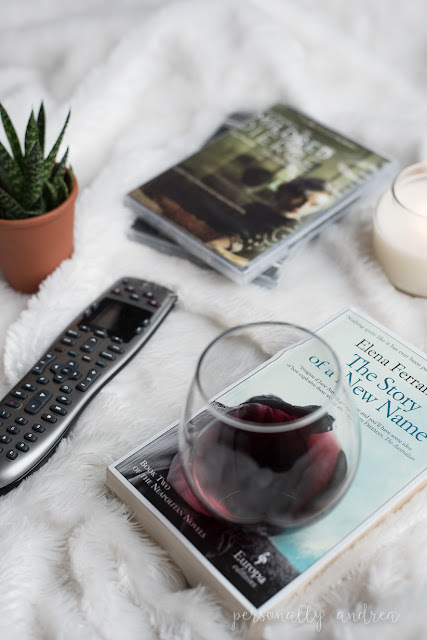 A few ideas for a cozy night in with some favourite movies, books, candles and wine. While many parts of the internet are posting pretty spring bulbs in bloom, buds on the trees and gardens beginning to flower…. the weather here has been dismal, cold, wet and windy. That feeling of needing to hibernate in the evenings is still going strong. 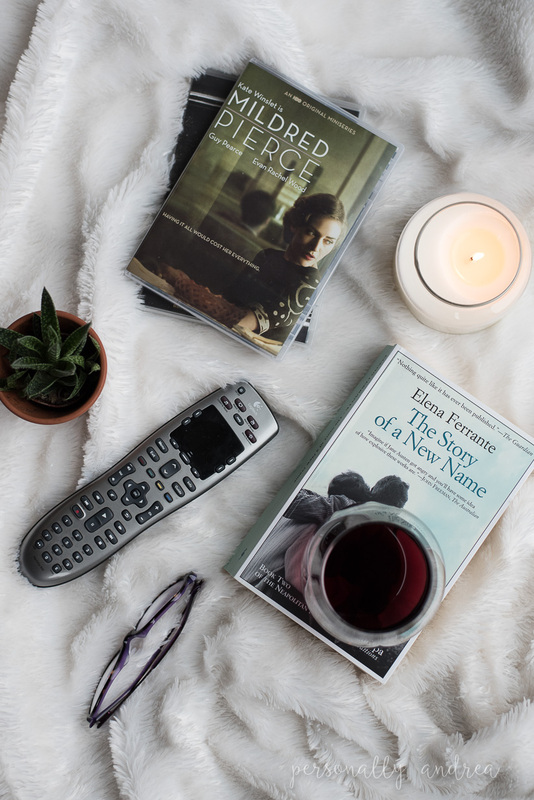 So to get us through the end of this season, I thought I’d post a few of my favourite movies and books that have gotten me through the winter so far. Add in some pretty succulents and a scented candle and your scene is set. 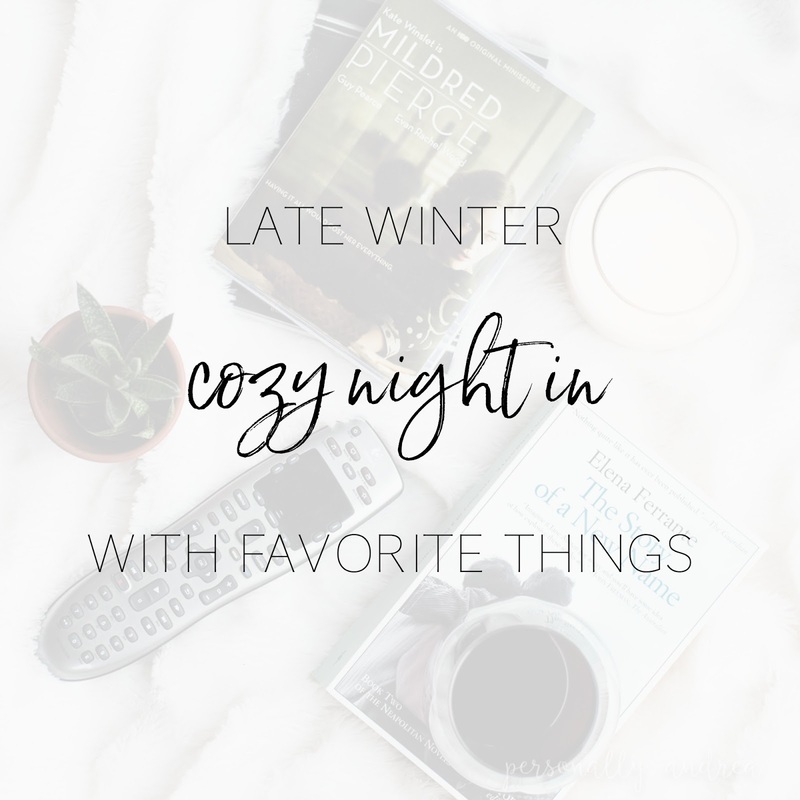 Maybe you’ll find something new to pick up for your nights in too! At Christmas I got a set of HBO miniseries on DVD, which was an amazing gift, seeing as you need to subscribe to every single channel just to get HBO, which we don’t. The next best option is to get the miniseries on DVD, to keep and rewatch again and again. My favourite of the set was this one, Mildred Pierce starring Kate Winslet. Loved the way she played the character, and the whole cast was excellent. It has me needing to pick up the book and read that too. This week I read that HBO (again!!! waaah!!!) will be adapting this Elena Ferrante series of books into a miniseries, starting with the first book, My Brilliant Friend. This is the second one of the four books. If you’ve only read the first one, trust me you’ll want to keep reading the rest of the series too. Can't wait to see it adapted for TV! And then wait for it to be available on DVD!!! If you’re like me then many evenings sitting with wine and chips (the best snack combo for a chilly winter evening) has you looking for some lighter options (hello love handles), and it might be time to switch out the chips for some flavoured popcorn instead. 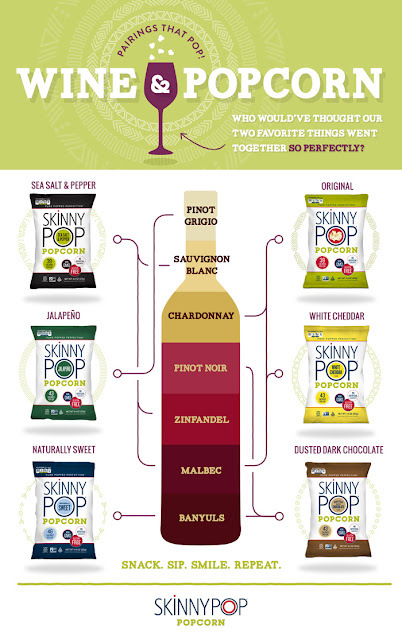 The good people at Skinny Pop have shared this very fun graphic with me to help us navigate to best options for wine and SkinnyPop popcorn flavour combinations. Which one would you choose? Personally, sea salt and black pepper is one of my go-to snacking flavours, and lucky for me it pairs up with Malbec, also one of my faves! 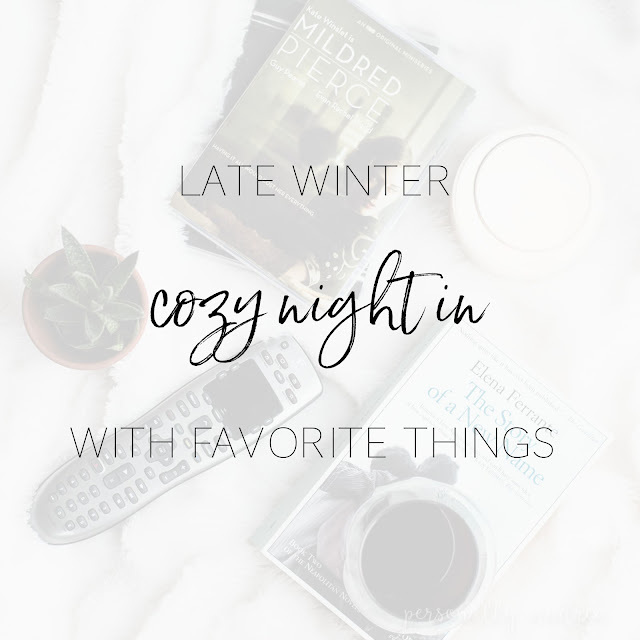 You can be in and out of the shops in a heartbeat, no indecisiveness required, and back home to your cozy sofa with snacks in hand. 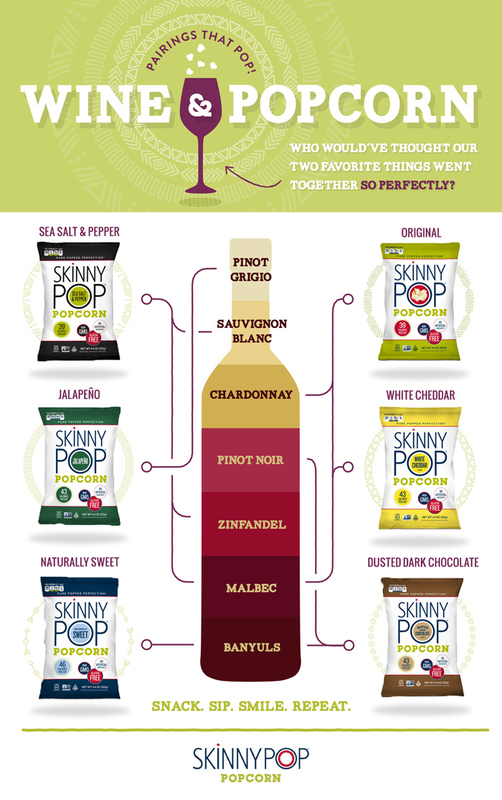 Start with your favourite wine, or your favourite popcorn flavour, pick the suggested match and you’re good to go. Or stay. In. Until spring decides to show up for real! This graphic is intended for readers over the legal drinking age, please drink responsibly. Popcorn is intended for everyone! Thank you to Skinny Pop for sharing with my readers.